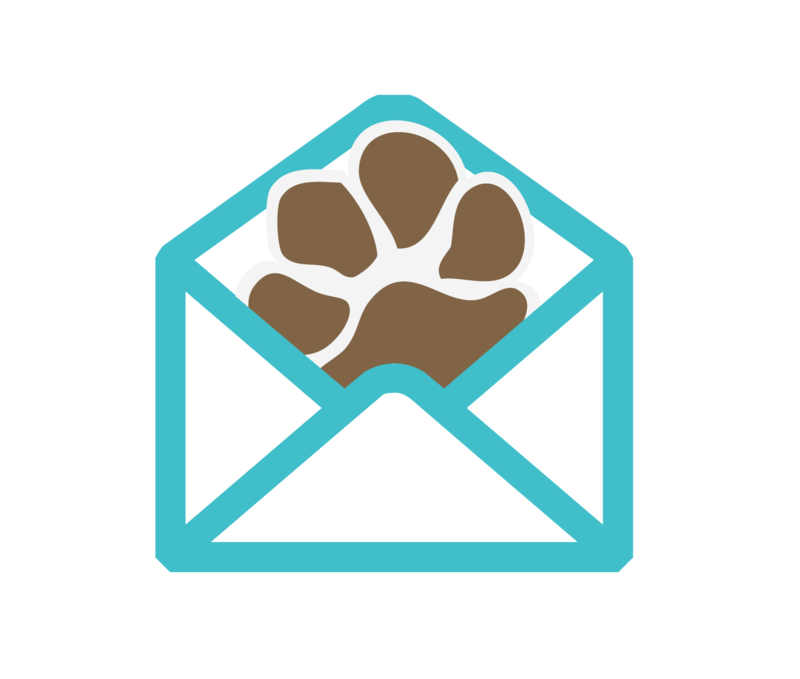 Our company name may be dogIDs, but you might be surprised by how many tags and collars we make every month that end up on a different kind of pet – from livestock to household animals! One of our customers is a zoo with a group of friendly goats. 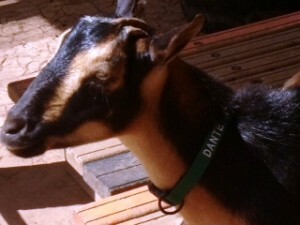 They wanted a better way for their visitors to interact with the goats in the petting zoo, so they ordered personalized collars from dogIDs with each goat’s name embroidered on them. That way, every kid that met a “kid” could call him by name! The following year, the zoo decided to upgrade the goat’s collar – this time they decided on the waterproof, smell resistant reflective collar and had the goats’ names engraved right into the collar. Not too surprisingly, goats are rather smelly and the fabric collars developed a bit of an odor over time. Josey the cow lives on a farm in an area that has quite a few hunters during the peak season. Her owner was afraid that she wasn’t visible enough to the hunters so decided to give her an added safety measure. 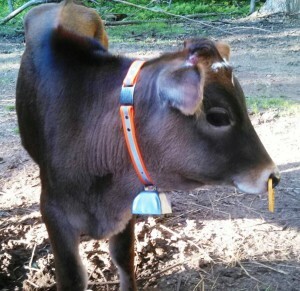 Josey got her very own personalized ScruffTag Collar with her owner’s information on the tag and a reflective strip on the bright orange collar to make her extra visible to hunters. Josey’s neck is quite a bit bigger than most dogs, so our inside sales manager, Chuck, worked closely with her owner to get the custom collar made just right. The collar is also a perfect place to hang her cow bell! 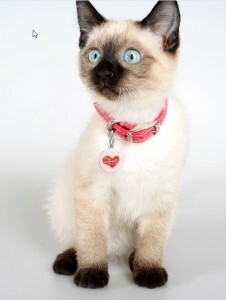 While our office is run by the dog-lovers, plenty of our staffers are cat-lovers too! I myself, only own a cat right now and she gets the royal treatment. Many of our small dog collars and tags can be sized down for cats – we even have a specific line of cat-themed tags for our feline friends. If your cat is an outdoor roamer or an escape artist like mine, it’s incredibly important for them to be ID’ed in case they get lost. Our home state of North Dakota is farm country, so people have the usual pets like dogs and cats but they might also have horses, goats, sheep, cows, and other livestock. There are all kinds of creative uses for engraved ID tags and collars – many of which we haven’t even seen yet! We’ve had custom tag orders used as pendants for horse blankets as well as plates made for feeders. 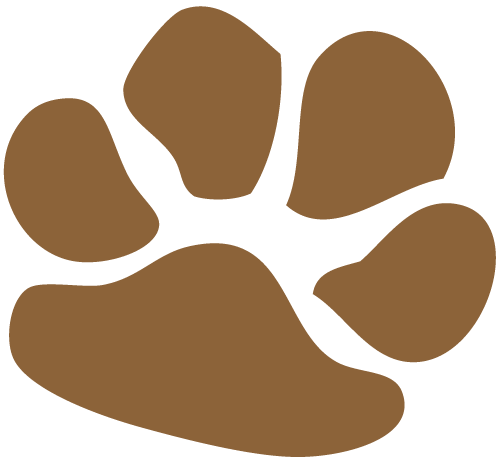 An engraved plate or tag can be sewn or riveted into all kinds of things to identify your pet or area for years to come. 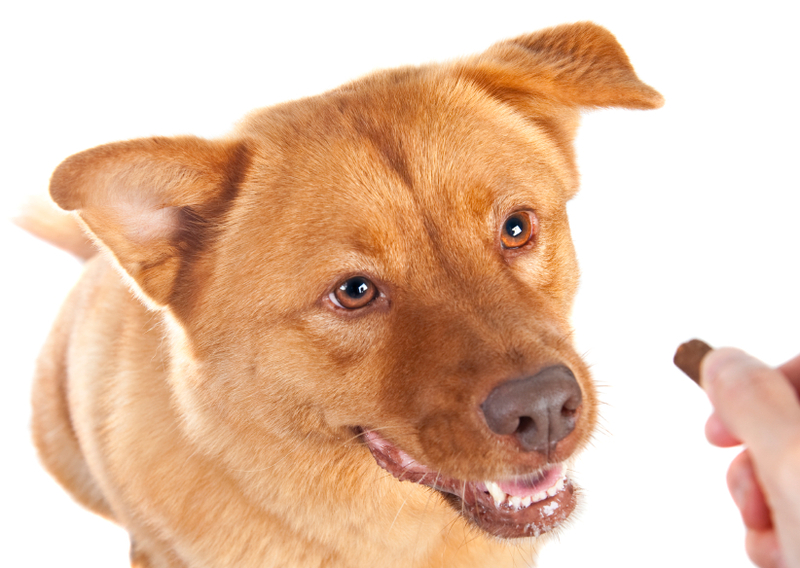 Do you have a pet you’d like to ID? Share your ideas below in the comments!